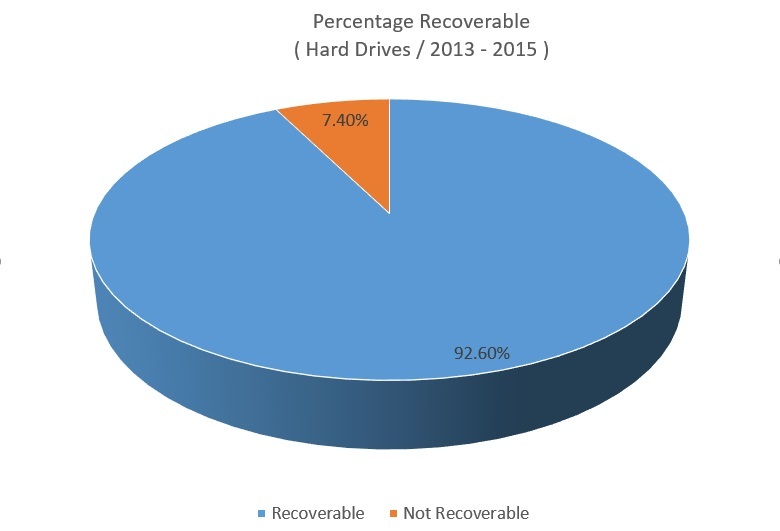 Likelihood of a successful hard drive data recovery really depends on several factors – not least of which can be how the drive has been treated since the failure was discovered. 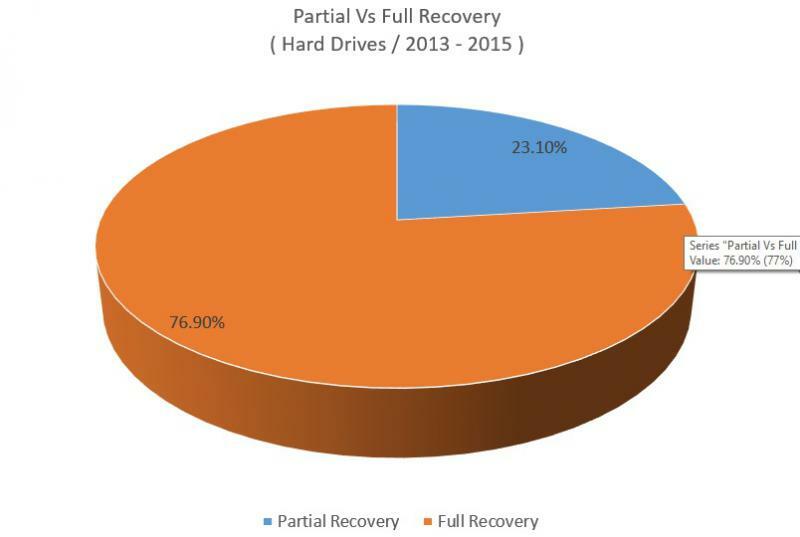 An analysis of our own data recovery statistics for 2013 – 2015 yields a success rate of 92.6% for hard drive recovery jobs in particular. We find the danger to the data (often from well-meaning sources) after the failure can be significant. Perfectly recoverable jobs are rendered unrecoverable or significantly more expensive due to “have a go ” / YouTube data recovery efforts. Data recovery is an extremely specialised field requiring extensive education and experience. You, generally, don’t get a second chance – so do the research and ensure that you are handing your hard drive recovery work to the professionals.